March 18, 2015 March 27, 2015 ~ Trevis Dampier Sr. It is an Irish moment of celebration and most of us American’s dive into it at full capacity with our clothes, our emotions and livers, while we ingest tons of Jameson and corned beef hash. I remember as a kid to make sure I put on some green clothing else someone would pinch you and seeing the Leprechaun movie back in the 80’s and wondering if I would ever find a pot of gold. Today I found myself with two of my colleagues at the Duke of Edinburgh in Cupertino, Ca. This place had a tavern type look in the inside, seats of luscious colored burgundy chairs with tables of a 1930’s look and it really gave you a feel of an Irish Pub of culture and abnormal to a regular bar. We start off with Irish Car Bombs and if you are not familiar with it then let me tell you that this is the first firework ignition of any grand fiesta! 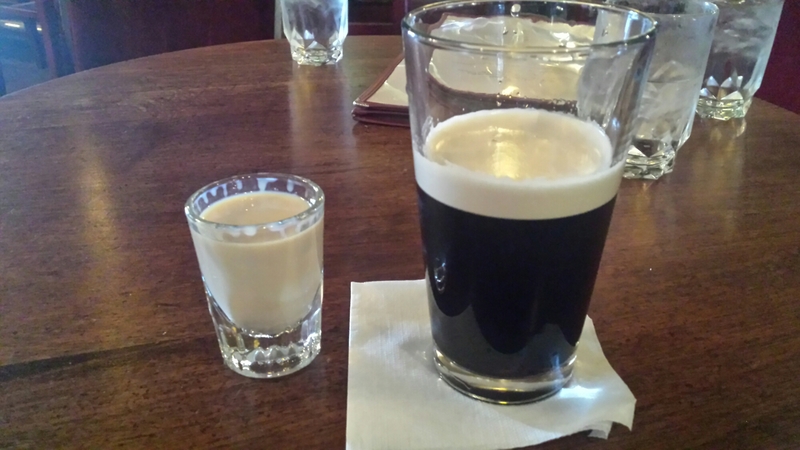 An Irish Car Bomb is a Guinness Beer with a shot of Jameson and Irish Cream Liquor. Simply pour a glass of Guinness and then pour half a shot of Jameson and half a shot of Irish Cream Liquor into a shot glass. Sip about 1/4 of the glass of Guinness down and then drop the shot glass into the Guinness and down that thang!!! The sweetness mixed with the smooth taste and a slight taste of bitterness from the Guinness is a divine experience. 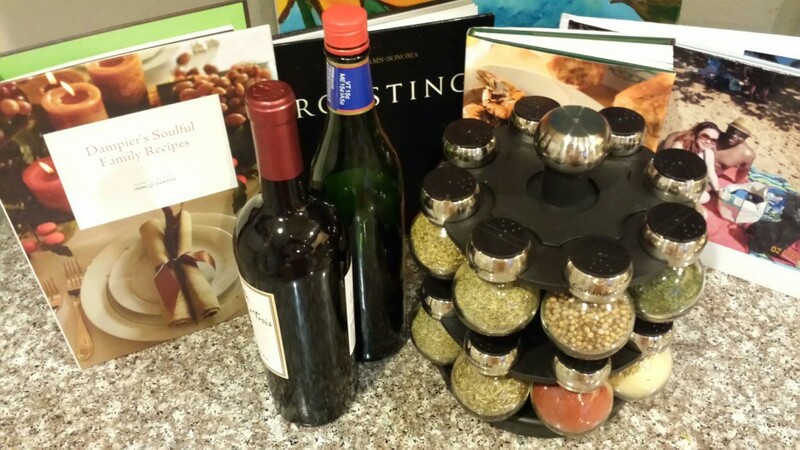 It ignites the party just like having multiple shots with friends on a Friday night. Don’t knock it until you try it.. I promise you that you won’t be disappointed. 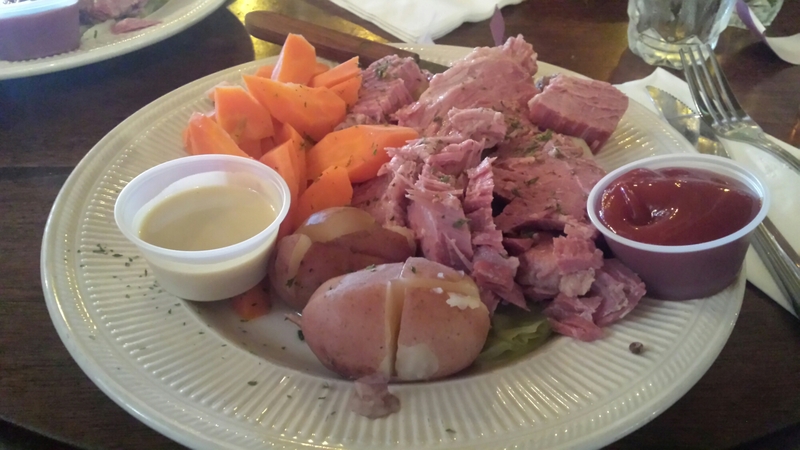 Other than that, another tradition that is a must is the Corned Beef and Cabbage! There’s no combination like this where it feels like you are in some kind of experiment of taste bud extravaganza. You can’t stop eating it once you begin so it’s really hard to take this food to go so don’t even try. This is true live action eating satisfaction! Good job Duke! Well party people….I have more drinking to do so cheers to the Irish and have a great and safe night! Keep hope alive! < Previous Beer..Shots..Fish and Chips..The Dream of The English!! Next > Getting ready for Friday on Thursday Night! !